We’ve jumped the last hurdle in the thrilling race that is the annual grape harvest, and after a much-needed pause this week for rain, our crew will have refueled with just enough energy to sprint the home stretch of the 2014 harvest. We have only three hillside Cabernet Sauvignon vineyards left to pick and expect to be finished sometime by early next week. Watch our 2014 Sonoma County grape harvest video for an inside perspective on the vintage. One word can describe this year’s crush: compact. 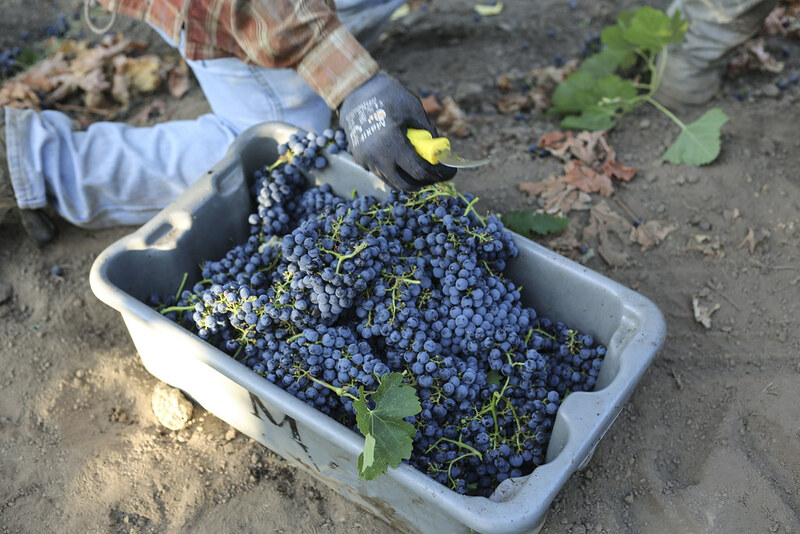 About 85% of the 2014 vintage fruit was harvested over a span of just 21 days (September 2-23). Harvest 2014 may end on the day that crush would usually start in a typical year. 2013 was an early harvest, and this vintage is about two weeks earlier than that. Winemaker Rob Davis puts the quality of the 2014 vintage thus far on par with the excellent 2013 vintage—almost as good as the exemplary 2012 vintage, which he believes is the finest vintage of his 39 harvests at Jordan. 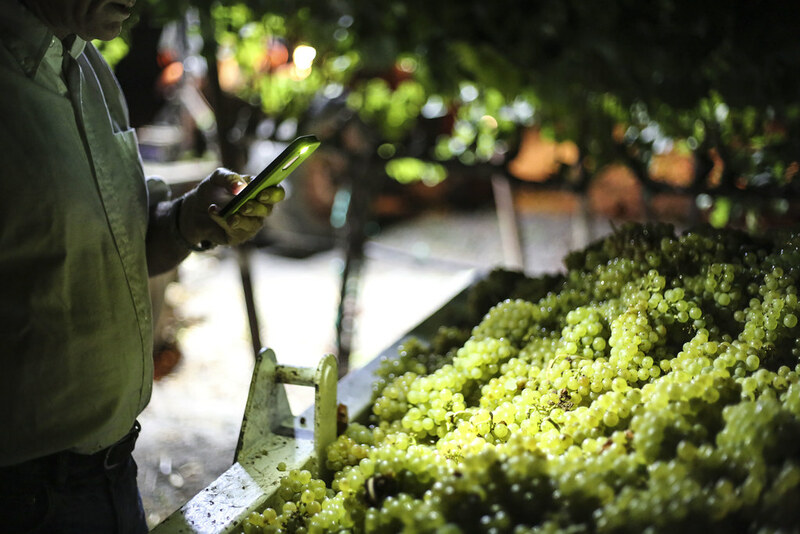 Sugar levels in 2014 have hovered around the 24% Brix mark for Bordeaux grapes and about 23% Brix for Chardonnay grapes, which is ideal for the balanced, lower-alcohol style of wine Jordan is known for crafting. Crop size is about 5-10% heavier than last year for our Chardonnay and about the same yields as last year for Cabernet Sauvignon and our other Bordeaux blend grapes. Significant in both white and red grapes this year was the lack of sunburn, which can affect the fruit intensity. The fruit flavors are pure and delicious. The winemaking team is whistling and laughing in the fermentation room. When they are all smiles, we know it’s going to be an awesome vintage.